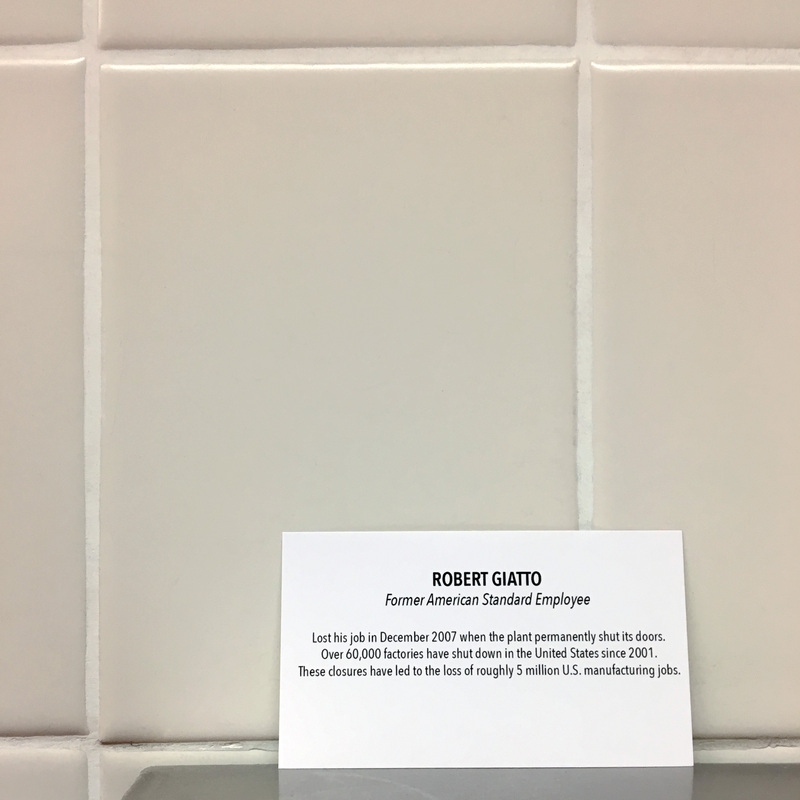 Over 60,000 United States manufacturing plants have shut their doors since 2000, causing roughly 5 million Americans to lose their jobs. 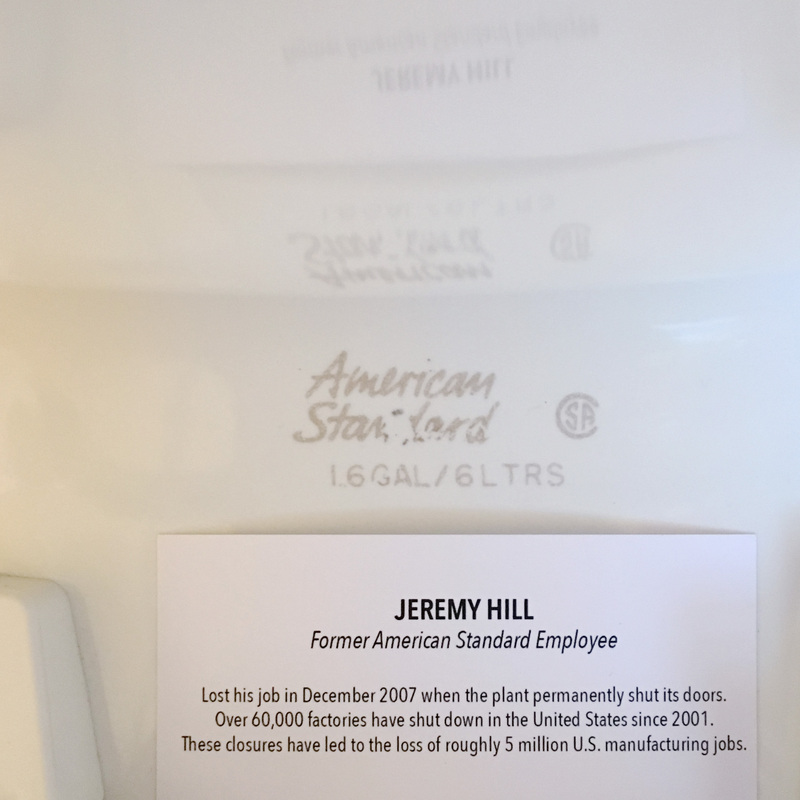 One of these factories was American Standard’s Tiffin, Ohio, plant (in operation from 1899-2007). 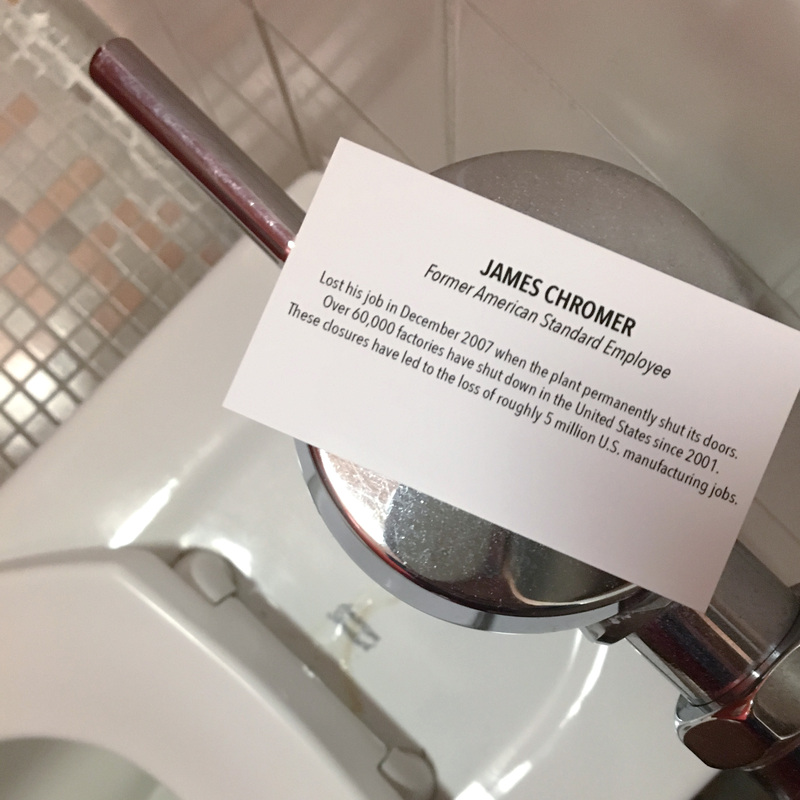 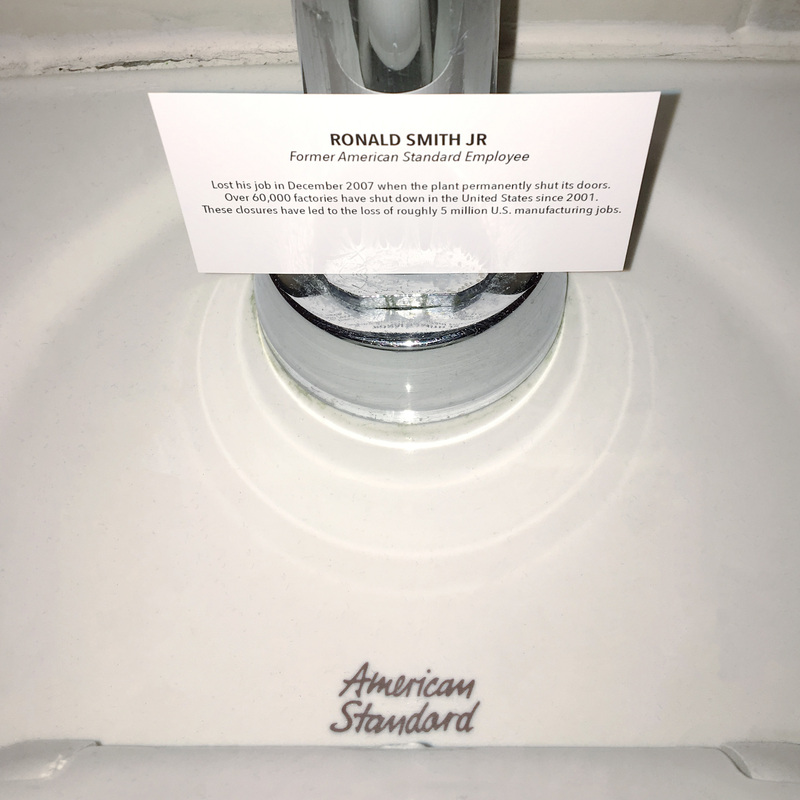 By placing the name of former American Standard employees on the products they once made (porcelain toilets and sinks), I am disrupting daily interactions in an attempt to start a dialogue about job loss in the U.S. 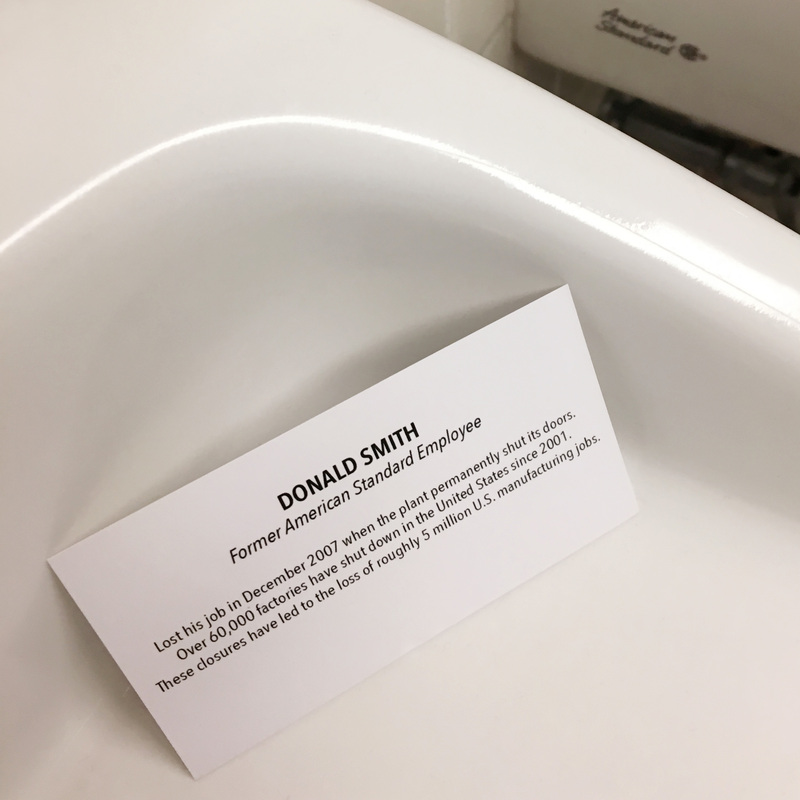 The addition of these cards into the most private of public spaces (the restroom), presents an opportunity for people to think about how utilitarian products come to be. 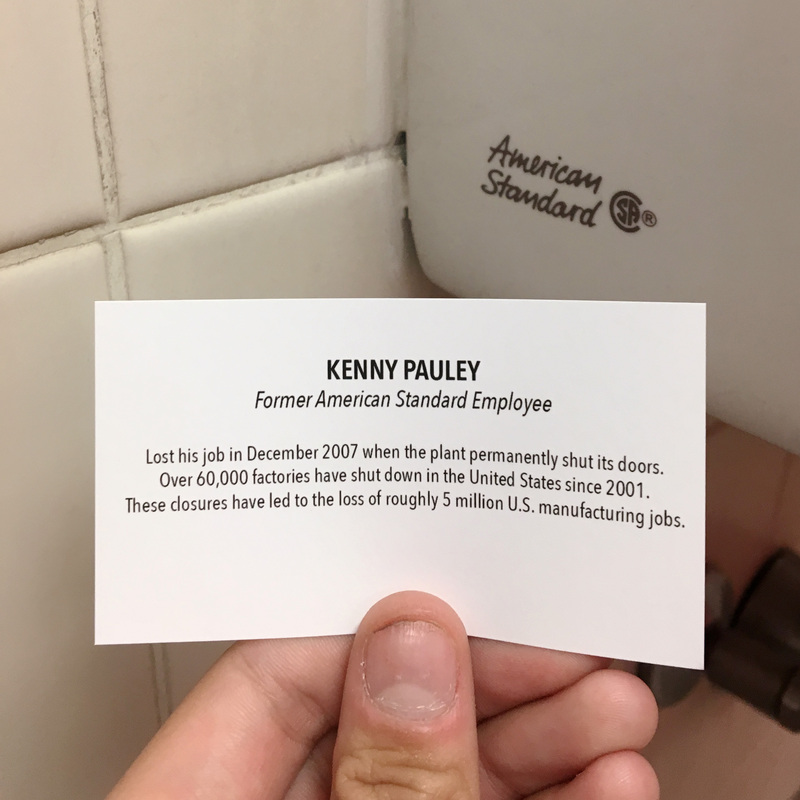 The presence of these anti-business cards pushes viewers out of their roles as passive consumers by presenting them with one single name amidst an overwhelming statistic. 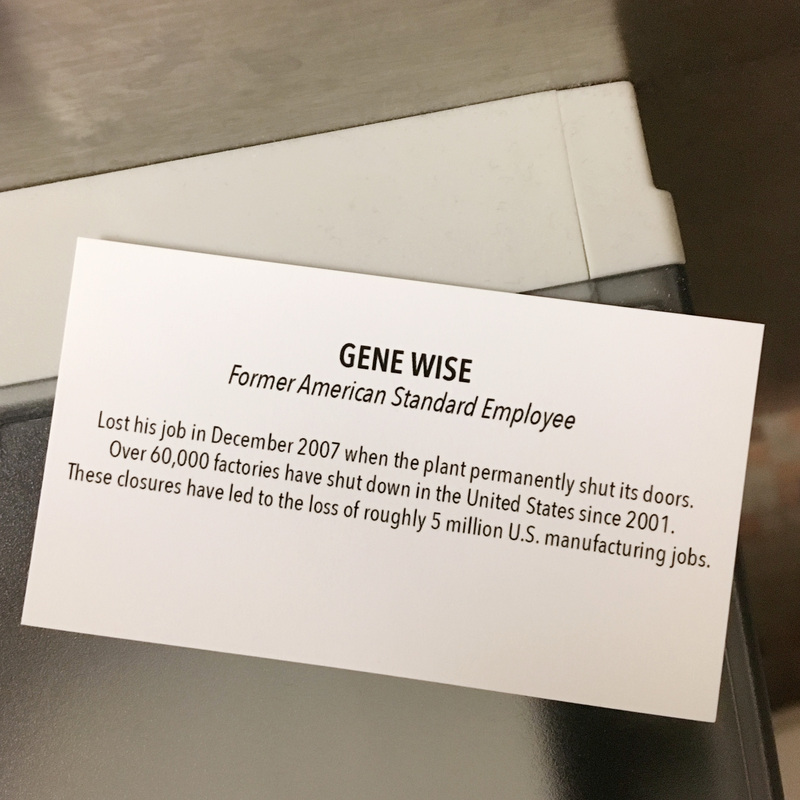 Lost his job in December 2007 when the plant permanently shut its doors. 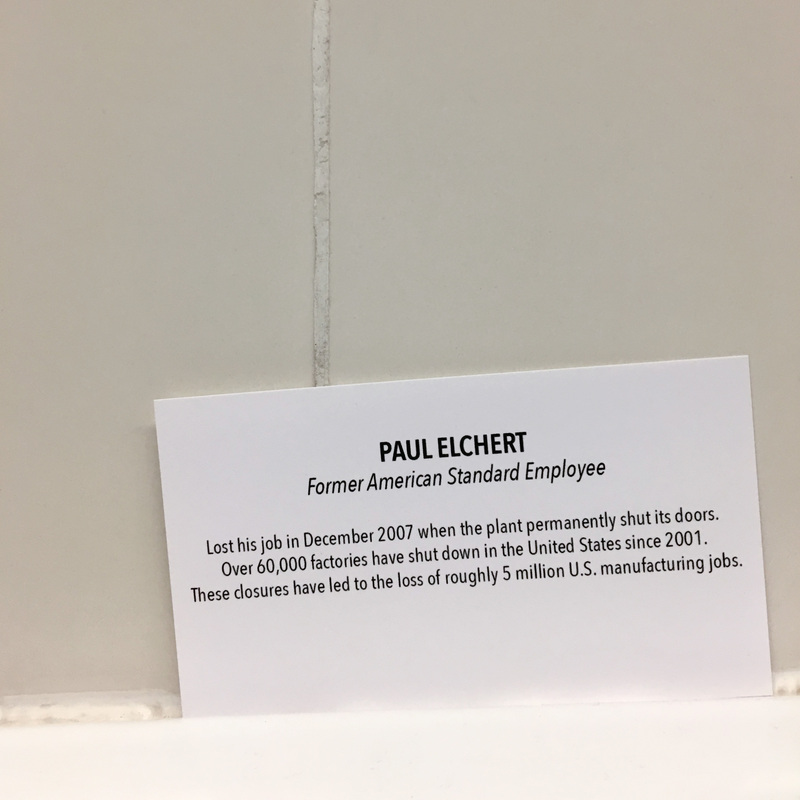 Over 60,000 factories have shut down in the United States since 2001. 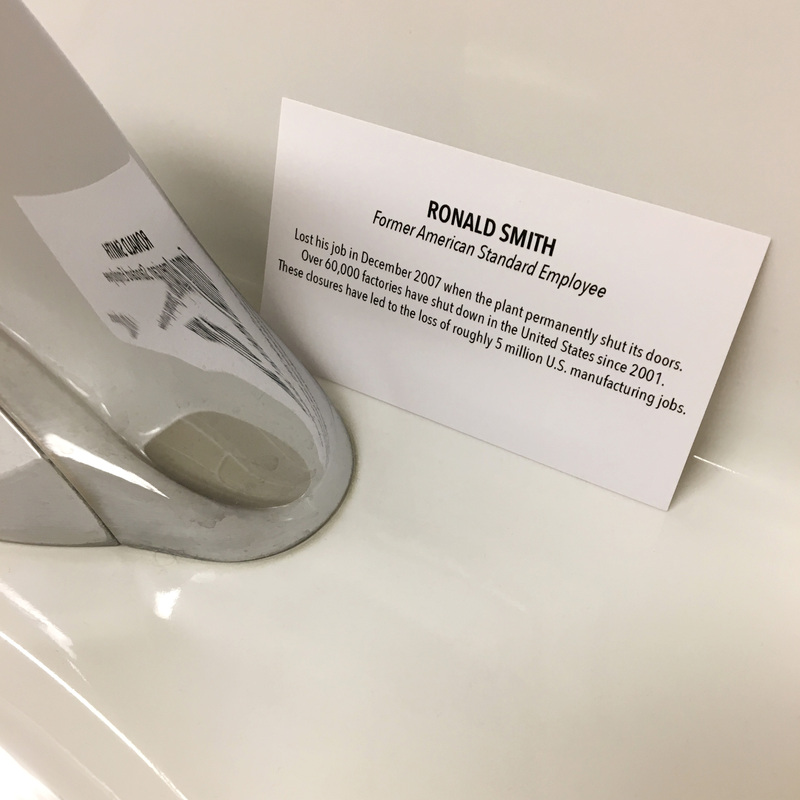 These closures have led to the loss of roughly 5 million U.S. manufacturing jobs.